The usage of smartphones and tablets has changed the internet deeply and sustainably. Especially and most obviously in the way, that it has led to the emergence of apps, short for applications, that you can easily use on your mobile devices or desktop computers. These helpful apps and can make your life easier in various different ways and serve different purposes like playing games, help connecting with other people, editing photos, playing videos and more. If your company is offering apps or other software and in case you are searching for a suitable solution to showcase software products on your business website, then using app and software showcase WordPress themes is a great way to present digital products to your audience. Depending on the particular WordPress theme you are choosing from this field, you can list your apps and other software products nicely and provide product descriptions for your customers. We have put together a nice collection of best app showcase WordPress themes, which can be used to create professional websites and present apps and other software products nicely. Some of these app WordPress themes provide such nice features like WooCommerce compatibility, interactive feature slider, parallax effects, one-page and multiple-page layouts or video embedding. Please have a look at our collection and see if there is an app WordPress theme that meets your requirements. Applay is a multi-purpose WordPress theme which can be used to create appealing app and showcase websites, appstores or landing pages for apps and other software products. With Applay you can modify your website according to your needs and requirements by using such nice features like WooCommerce readiness, parallax & CSS animation effects, interactive feature slider or else. Stratus is a feature-rich app and showcase WordPress theme which is perfectly suitable for app developers, SaaS companies or startups from the tech field. Using this app showcase WordPress theme you can create appealing and modern websites to showcase your apps or other software products in a professional way. Thanks to the many useful features, you can customize Stratus WordPress theme according to match your business requirements and your personal liking. Pursuit is an app and cloud software WordPress theme which can be used to create nice multi-page or one-page websites to showcase your products accordingly. By using the many inlcuded shortcodes, powerful sign up forms, Page Builder plugin and other useful features, you can create nice business websites and inform potential customers and website visitors about all the cool apps and other software products you are offering. Appdev is an app showcase WordPress theme with one-page and multiple-page options. It is an ideal launch pad for iPhone, iPad (iOS) or Android apps. This app and showcase WordPress theme offers a responsive layout, lava-lamp menu, impressive parallax backgrounds, retina readiness and tons of other options. With Appdev you can create user-friendly websites to showcase your apps nicely and in a well-organized way. Appster is the ultimate app showcase WordPress theme as it comes with a professional one-page design and parallax effects to present your products in a great way. Appster offers a very clean and minimal design to showcase your apps in very emphatic and clean manner. This app showcase WordPress theme provides 12 different home sections, latest HTML5/CSS3 coding standards and dozens of user-friendly customization options. Appster thus offers your users a very smooth and lucid platform where they will get all the information neatly packed directly on the first page. Crealand app landing WordPress theme is suitable for professional app landing pages as it offers lots of fancy features and comes with a responsive slider to showcase your products in a very appealing manner. This app WordPress theme also allows you to embed videos from YouTube, Vimeo or other sources to present some additional visual information and to create unique websites. FluidApp is an advanced mobile/tablet app showcase WordPress theme which provides useful features and customization options. 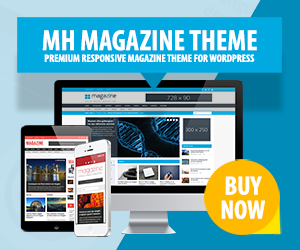 This app WordPress theme offers a responsive layout, custom jQuery slider, 8 unique page layouts, Google Font picker, HTML5/CSS3 integration, cross-browser compatibility, localization support and many other features as well. FluidApp is a fantastic WordPress template to present apps accordingly. Hype is an app landing page WordPress theme which presents your work in very powerful, well-organized and precise manner. This fully responsive app WordPress theme offers many useful features such as unlimited colors, retina readiness, translation readiness, newsletter form, cross-browser compatibility and many others. Kodax is a landing page app showcase WordPress theme with a clean design and useful customization options. Kodax is a perfect solution for all those who are looking for unique design and top rate functionality. It provides modern features and can be installed with only a single click, offering performance, right out of the box. Kodax comes with advanced plugins, shortcodes, page templates, portfolio galleries, support for different media, built-in SEO optimization and many more. Mobera is a classic app showcase WordPress theme which offers retina graphics, RevolutionSlider, drag and drop builder, responsive design and dozens of other features. This premium app showcase WordPress template is very powerful and helps you build a strong platform to promote your work. Mobera is appealing in design and efficient in use, and thus might be the perfect solution for those who want a balanced template to present apps and other software products. Pandora Box is an efficient, creative and minimal one-page WordPress theme that might be perfectly ideal to showcase your products. This app WordPress theme keeps things simple, but yet offers useful features like mobile friendly layout, 3D slider, 3 different display styles, 650+ Google fonts, Contact Form 7 integration and much more. Besides, Pandora box is easy to customize and you can modify this template to suit your personal requirements. Sublime is a very dynamic and vibrant app showcase WordPress theme with nice animation effects and a fully responsive layout. Sublime is packed with live preview customizer, drag and drop builder, unlimited colors, sidebars, 600 Google fonts and many other features. It gives you a full-fledged and competent platform to present your apps nicely. Sublime is furthermore flexible and you can customize it according to your needs and requirements. Tapptastic is a professional app WordPress theme which is perfect for professional app showcase websites. It is very well designed and developed based on Bootstrap that makes front-end development faster and easier. Tapptastic app WordPress template is responsive and comes with retina readiness, image and video slider, built-in page layouts, icon fonts integration, contact form module, translation readiness, advanced SEO options and many more attributes. You can use this app and software showcase theme to create a vibrant and highly functional web platform. Agile is a great solution for all app and software developers who want to showcase their digital products accordingly. This app WordPress theme offers a flat and bold design, infinite color schemes, parallax/video sections, unlimited header styles and many more designing tools through which you can create appealing websites. Agile is a trend setter and will usually appeal to the modern tech-savvy audience. You can customize and edit many parts of your theme from the dashboard itself without the need of coding skills. Caelus is a landing page WordPress theme which comes with MailChimp support, 2 color schemes, 8 custom widgets, 4 fantastic font combination, social integration, translation support, blog post slider and many more features. Caelus provides some nice features to build awesome websites and present your apps and software products accordingly. With this premium app and showcase WordPress theme, your apps will be displayed in best possible way and you can easily inform customers and website visitors about app features and other digital products. Elina is a mobile app WordPress theme with many useful features. This app WordPress theme has especially been designed for app developers and comes with a modern flat and clean design. Elina is furthermore mobile friendly, offers the RevolutionSlider, custom post types, AJAX contact form and many more great features. This app and software showcase WordPress template also comes with many great customization options to create unique and personal websites. Grizzly is a very popular and well-structured app showcase WordPress theme with great features to take advantage of. This fancy and advanced app showcase WordPress theme is packed with a fully responsive layout, images slider, apps dock slider, unlimited style, intuitive admin panel, Google fonts, 179 quality icons and many more features. Petrichor is a nice landing page app and software showcase WordPress theme which is easy to work with to create professional business websites related to digital products. This app showcase WordPress theme is offering lots of styling elements such as 4 header types, 6 header backgrounds, 6 color skins, etc. Petrichor app WordPress theme comes with an AJAX contact form, Google maps and MailChimp form to give your audience and customers a smooth site experience. Furthermore, this app WordPress template is open to modifications and you can alter it to suit your requirements. Mobilee is a smooth, firm and cool WordPress app showcase theme which comes with many great features in terms of design, as well as functionality. It includes a responsive layout, unlimited colors, App Store and Google Play integration, two sliders – one for Android and another one for iPhone, cross-browser compatibility, shortcodes and many more features. This app showcase WordPress theme will display your apps and digital products in a very elegant style. Thanks for this article. We are continuously looking for some WordPress themes for our upcoming smartphone apps. Please share some premium themes. Hi Roznama, have a look at Fusion, Appster, Tapptastic or Petrichor as these premium WordPress themes could be suitable for your smartphone app business.